This is just one of the meaningless diversions I get in my email box during the Christmas holiday! A diversion from work is not only welcomed but NECESSARY, this time of year! I mean, it's Christmas and there are four zillion people out there braving the stores in search of gifts, gifts and more gifts! I have already sent 30 minutes too long in a store this holiday season, and I would much rather be home, goofing off, jigging work (oops, hope my clients - or my other big employer Jeff didn't see that! 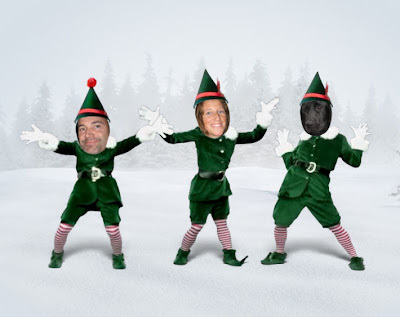 he he), and putting my friends' faces on an elf bodies for a big belly laugh!! If you want to get elfed check out this link! Have fun!